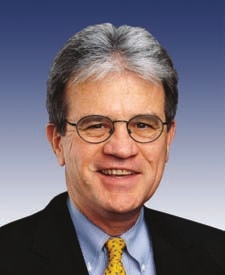 U.S. Sen. Tom Coburn strikes again, embarrassing himself and the state of Oklahoma. At today’s confirmation hearing for Sonia Sotomayor, the first Hispanic person ever nominated for the U.S. Supreme Court, Coburn used a slight variation of a well-known phrase used by the character Ricky Ricardo on the old I Love Lucy show. In a brief exchange of humor between Coburn and Sotomayor, the senator apparently said, “You’ll have a lot of splaining to do.” In the show, as most people know, Ricky, a Cuban musician, used the phrase “Lucy, you have some splaining to do” when his wife did some bizarre thing he didn’t like. Here’s the Associated Press story about it. It’s almost always inappropriate for people to use mock, stereotypical language and the accent of an ethnic group as a point of humor, especially with someone who is the particular ethnicity they are mocking. (Obviously, some comedians mock their own ethnicity to make larger, sociopolitical and cultural points.) What’s worse, the remark could be construed as sexist as well because it conjures up the image of Lucy, a character without much rational brainpower. Also, it is inappropriate, if not unbelievable, for a white U.S. Senator in a confirmation hearing for a future U.S. Supreme Court Justice of Hispanic descent to just launch into a Hispanic-voice parody, even if the intention was to be humorous. Coburn, along with U.S. Sen. Jim Inhofe, who is known for his own outrageous comments about global warming, continue to draw strong support from the local corporate media here. This is tragic. Both Senators consistently damage the state’s image, but the local media barely pays attention. Instead, it consistently cheers them on.